this was in july. this was when i was about 95 pounds. now picture me about 15 pounds lighter. i was happy. i had a wonderfull life. school was going great, i had a boyfriend and lots of friends. i was never really that confident in myself. when i was in second grade a girl used to tell me that i was stupid, and fat. i was only 8 years old and i already hated my body. and i haven't stopped. all my friends they are so thin. i wanted to be like them so bad. so it started in june. i created a journal notebook where i took pictures of myself and i wrote down everything i ate. i live on a farm so i had chores morning and night, i walked the animals, i cleaned and so forth for hours a day. plus i was running and doing other various exercises. it was summer and i wanted to change into the beautiful girl i wasnt before. i wanted to be thin, no skinny. so in june i started. i was consuming an average of about 600 to 500 calories a day. an active 14 year old. i was 108. by school time i was 94. by december i had gotten to my lowest weight, which is 79 lbs. i am 5 foot and 1 inch tall. i was super depressed and felt horrible about myself. i thought that i wasnt perfect when i was fat and im not perfect now because im to skinny. so i told myself i would never be the perfect size and that i would have to live with hating myself. thats still how it is today. listen, you're beautiful the way you are. the media is always trying to portray how us girls have to be the perfect size 0, otherwise we're nothing but fat and disgusting--that's not true! 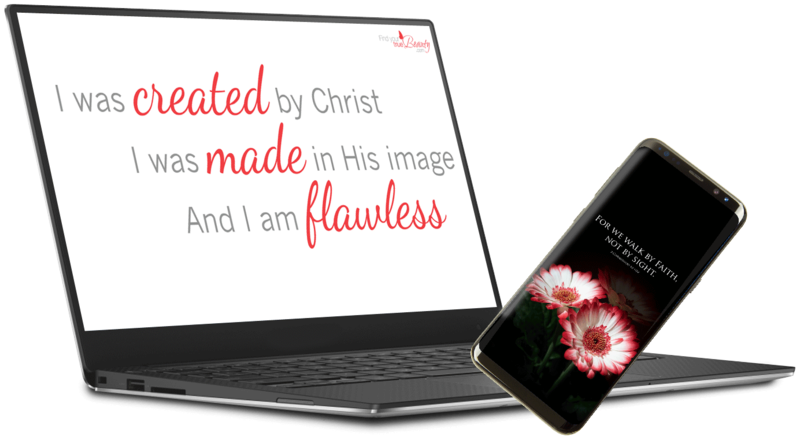 God sees us as beautiful whether we're 79pounds 179, 279, and so on--He sees us as beautiful because He made us and we're His! He loves us no matter what--He doesn't like it when we harm our bodies b/c they're His tabernacle(and yes, starving your body is harming it if there was any doubt), however He still loves you soo VERY VERY VERY MUCH! 1 Peter 3:3-4 3 Your beauty should not come from outward adornment, such as elaborate hairstyles and the wearing of gold jewelry or fine clothes. 4 Rather, it should be that of your inner self, the unfading beauty of a gentle and quiet spirit, which is of great worth in God’s sight. Hey girl!! I just wanted to let you knoe that you are beautiful!! DO NOT LISTEN to what the world says!! If you choose to listen to the worldy lies than you are allowing satin to get in your head, which is exactly what he wants!! you are worth more than that!! You are worth more than diomands and jewels!!! Think about this.. when you are beautiful on the inside it radiates and makes you beautiful on the outside too!! You are beautiful!! God personally created you.. he shaped you into who you are!! GOD DID the creater of the universe yes HE created YOUU!! He has apurpose for you!! When you call yourself fat, or ugly or whatever you call yourself you are telling God that the masterpeice he created is ugly, i dont think so... Everything he makes he makes in the image of him!! GOD DONT MAKE NO JUNK!!! Girl you are a masterpeice created by the LORD MOST HIGH!! he looks down at you and he says.. that is my beautiful daughter!! He is calling for you!! He wants you to let him work through your life!! He loves you more than any earthly person could ever love anyone EVER!! Honey I know that ignoring the world is hard, but you can do ALL things through Christ who strengthens you!! God is going to use you in a mighty way!! You are going to be able to help other girls someday overcome there problem with self-image but first you must overcome this!! Everytime you look in the mirror tell yourself out loud "I am beautiful, I have been greated in My Gods image, I will no longer listen to what the world has to say I am worth more than dimonds" say it live it and believe it!! Girl keep livin for Jesus!! Let him have power over your life listen for the voice of truth!! God bless!! Love you4r sister in christ Pammy! These songs will be a great encouragement to you check them out! In my experience, you can be told by thousands of people that you are beautiful and until you are ready to hear it and believe it, it is just wasted words. I get confused because there is constant talk of the obese epidemic going on in the USA yet there is constant talk of our young girls who are starving themselves. They are polar opposites. I think as a society we have become obsessed about food and weight and it is all very confusing. I have one question for you. Take sometime to think about a women who you know that impresses you, someone who you look up to . . . . got her? Now I bet you didn't pick her because she is beautiful or skinny so ask yourself what is really important beauty or the kind of qualities that everyday women possess such as kindness, caring, loving, listening, and on and on. God has created women to be the "softer side" and these are the qualities that are truly beautiful. It you spend your whole life striving for beauty or the perfect weight, you will find yourself feeling empty. You are old enough now to understand that only a relationship with God will fill that emptiness that you are feeling but also realize that you may have a sickness that needs medical help and make sure that you are getting that help if needed. Keep your head up and your knees down! i agree with you..honestly, my 2biggest female heros in my life are my youth pastor,kim, and my best friend, roxan. while roxan is the "perfect size" kim is not so much and that's not a bad thing--neither of them are at either extreme. i also know some lovely women that are frankly a bit overweight. i see where you're coming from, and i'll admit i myself am concerned about my weight even though most people would say i don't need to be just because obesity runs on my dad's side of the family and i seem to take after him in a lot of my characteristics..if it was only a size issue, i don't think quite so many people would be making such a big deal about it, but its not--its also a health issue--there are health problems at either extreme that could be life-threatening. Oh sweety, I am 5ft 1 as well, and being this small there is pressure to be thin and "cute". That is what the world tells us... Now let me tell you what the Lord thinks. He says that you are beautiful and perfect just the way you are. He says that He made you in His image! How awesome is that, you have the traits of your heavenly father! I myself have had anorexia, I had it for four years. And you know something, I realised that I will never be "perfect" to the world, but I am already perfect to God. And so are you! He loves you! Take a moment and think about it! He loves you, and nothing will ever change that! I pray that He can show you what He sees.